One of the most popular programs (it even won a big award this year!) in the ComEd Energy Efficiency Program over the past 10 years has been the Instant Discount program. Previously known as the Business Instant Lighting Discounts Program, the Instant Discounts program is designed to help commercial customers acquire discounted energy efficient projects without jumping through any hoops. This ComEd rebate comes directly off your invoice from the distributor - that's it! This program has been widely popular over the years, and contractors to property managers in Chicagoland have replaced a ton of lighting to LED via this simple program for ComEd rebates. Here are a few highlights for 2018. LED Tubes are by far the most popular product in this program. This program supports Type A and Type B tubes, which I’ll describe below. If you are interested in Type C Tubes (new LED driver included), then you’ll need to participate in the Small Business Offering or Standard Energy Savings programs. Type A - Type A tube replacements have a $3 instant incentive and usually cost between $6 and $10 without a rebate. This type of tube is designed to be used with an existing electronic ballast, so really you are just removing a T8 fluorescent lamp and installing a 10-17 watt Tubular LED product. Our preference these days is a 4000k 13W Philips LED tube for office settings, or a 16.5 W HO 5000k Philips LED tube for warehouse or manufacturing settings. Both are eligible for the $3 instant discount. Type B - Type B tube replacements also have a $3 instant incentive, and usually cost between $6 and $10 as well. The advantage of this style is that the hot and neutral wires are directly wired to the sockets of the fixture, so there is no need for an external ballast or driver. While this keeps material costs down, it does create a bit more labor costs than a Type A. For this reason, we typically recommend Type A through the instant incentive program. Screw in lamps (type A, Pars, Mrs, Brs) have been the base of much of the savings in the energy efficiency world for the past 10 years. Today, while a lot of our marketplace are LEDs, there is still a lot of work to be done. If you have any of these lamps not converted to LED in your commercial setting, these are among the best ROIs available and are low hanging fruit. 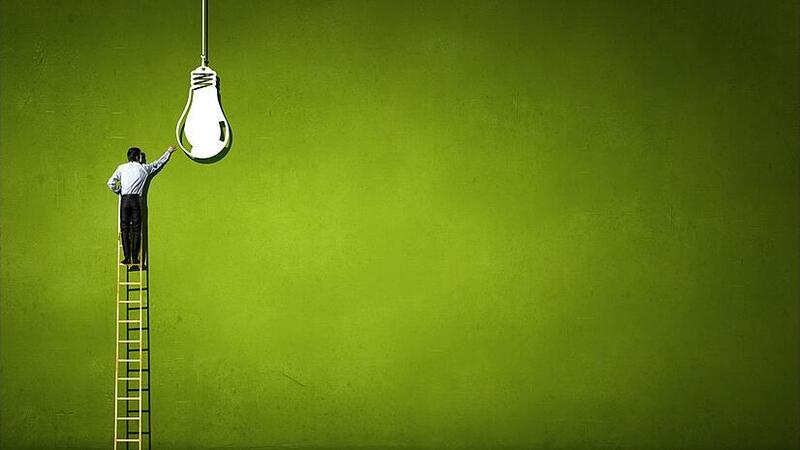 In fact, property management groups can save almost $5 per year by replacing a 13 watt CFL with a 9 Watt LED A lamp, and this is prevalent throughout a lot of multifamily buildings in Illinois. Already sounding good to you? Shoot us an email to ask for pricing and quantities. We absolutely love trim kits at Verde - they are very versatile and really improve the quality of light that comes out of a fixture. Trim kits typically replace a Br30 or the ever challenging PTL fluorescent lamps. They are typically a bit labor intensive, and while there are energy savings, this is more about upgrading the look and feel of spaces. The instant incentive for this fixture is currently $5. Exit Signs are a great opportunity for energy efficiency, and as this former firefighter can attest, an important consideration for your building. Current LED products last up to 100,000 hours, which can avoid fines and safety concerns with exits being improperly lit. Hardwired LED replacements are also available with a $20 per lamp rebate. Labor is often higher with this replacement, but it is required in signs where there are currently PTL style lamps. This year, ComEd has begun providing incentives for “corn cob LEDs” or HID replacements. While this product can be challenging to use at times to get a good light output, it is versatile and good for many applications. Please reach out with any questions, and as Verde Energy Efficiency Experts is a 2018 Instant Discounts Distributor - we are happy to help you with any product purchases. Come pick up lamps at our warehouse today, or better yet, enjoy a free site visit from our energy efficiency analysts to make sure your product color temperature and wattage selection is right from the get go.